There's no denying that The Sims 4 launched to a rocky start with claims about the lack of missing features from past games in the series. Fortunately, many of those features have been restored in game updates including swimming pools, ghosts, and basements to name a few. With the spotlight now on expanding beyond the base game, Get to Work has a lot riding on its shoulders for being the first expansion pack. 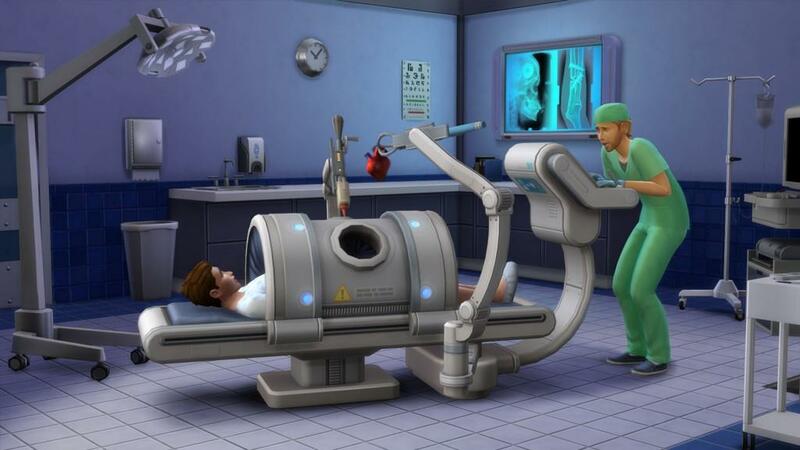 For one, it will signal what fans can expect in future expansion packs for The Sims 4. Additionally, it shows how much of the core experience can be expanded upon with future expansion packs. 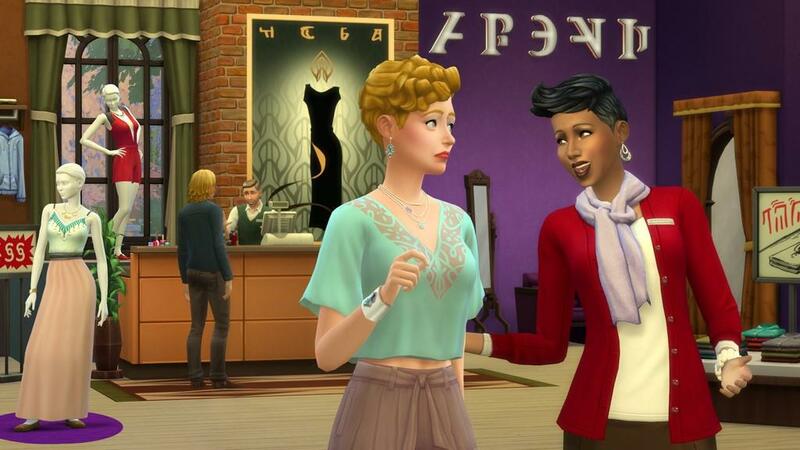 With The Sims 4 Get to Work being that indicator of the game's future, Sims fans should breath a sigh of relief as the first expansion pack is a great step in the right direction. The Get to Work expansion pack focuses primarily on adding back retail businesses to the game, which was the primary feature of The Sims 2 Open for Business expansion pack. Along with manageable retail businesses, players can also pursue career venues by becoming a doctor, detective, or scientist. Two additional skills are included in the expansion pack with photography and baking, both of which can also be utilized for running a retail business as well. Lastly, aliens return to the series that can be made in the Create a Sim mode or discovered through the scientist career. While players can convert any lot into a retail business, the new neighborhood of Magnolia Promenade comes with the expansion pack that has three pre-built lots along with an open lot for player creations. Retail lots can't be run on the same lot as a player's house, but can easily be traveled to and from using the in-game smartphone. Retail businesses are simple to create as the only real requirement is to place a register object that functions to open and close for business. It's completely up to players the type of retail business they want to run ranging from a bakery to a clothing store. Nearly every item in buy mode can be marked as a sale item along with items crafted in-game or found in the environment. Players can expand their business operation by hiring employees to manage tasks such as assisting customers with questions or restocking items. The perks system continues over to retail businesses as players earn more money they can unlock bonuses ranging from quicker checkout times to extra employee slots. Since the very beginning of the Sims series players have had to watch their characters disappear during work hours and wait for their return after a shift's end. Now with the Get to Work expansion pack players can do as the title says and follow their Sims to work to perform their various career tasks. 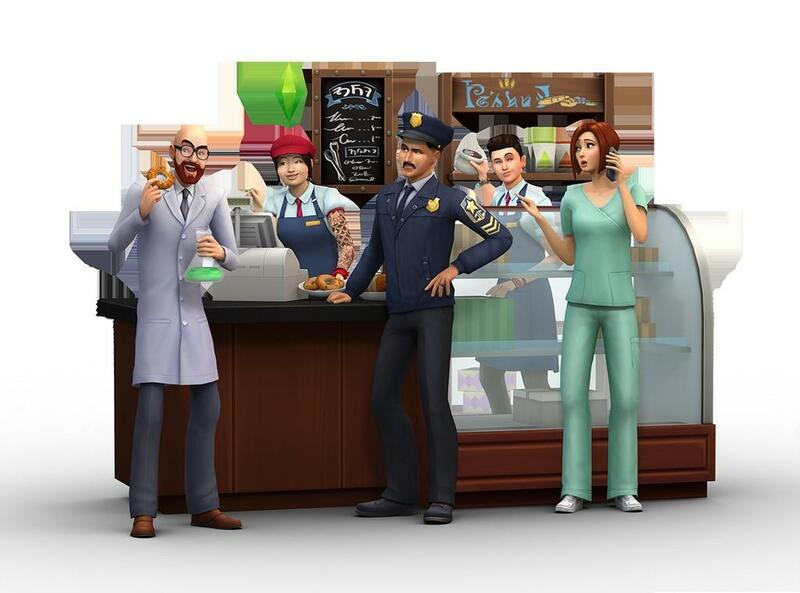 While the original professions haven't changed how they function, the new career venues of doctor, detective, and scientist allow for players to follow their Sims to work or either select the traditional method of waiting at home till they return. Once at work, players are continually assigned tasks throughout their shifts that determine daily performance and ultimately advancement in the career. The doctor career for example has players performing a wide variety of tasks ranging from operating x-ray machines and taking body temperatures to analyzing tissues and searching online for medical research. While it's great to finally experience a Sim's day at their job, the tasks quickly become repetitive and further highlight the game engine's reliance on loading screens when switching between neighborhood lots. Beyond the added career venues, Sims can pursue additional skills in the form of photography and baking. While baking is similar to the cooking skill in that it simply adds more recipes for new food, photography on the other hand adds a great deal of new gameplay features. Sims can now use either their smartphone or buy digital or SLR cameras to take their own pictures of anything they frame on screen. 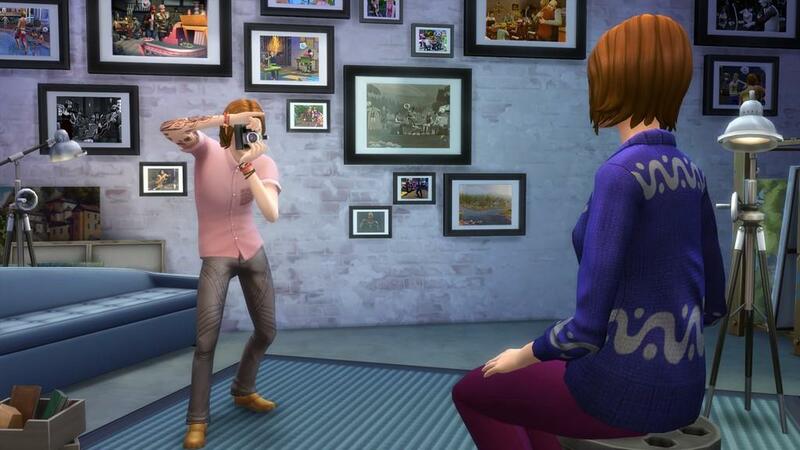 Additionally, players can use a new photography studio object that allows for automatic framing of one or multiple Sims. As a Sim's photography skill increases in level their photos become brighter and sharper in detail. The ability to hang player-produced photos in houses add a great deal of further customization and atmosphere to the game. The cameras even allow for selfie photos that have taken social media by storm, which is a perfect touch for the Sims series. Aliens also make their return to the series which were originally introduced as playable characters in The Sims 2. As in past appearances of aliens, Sims can become abducted from their houses and even become impregnated. After Sims reach a certain level in the scientist career they're able to travel to the alien planet of Sixam to find rare collectible items and meet various aliens. Aliens have special abilities such as being able to determine traits of other Sims and even disguise themselves to look like a human. Aside from the new gameplay features, there are a ton of new objects and clothing items that will surely satisfy Sims fans looking to expand the base content of The Sims 4, much of which are useful beyond the retail business setting. The Sims 4 Get to Work is a great first expansion pack that expands the base game with numerous welcome features ranging from manageable retail businesses to photography. The only place the expansion pack stumbles is with how the career venues function in that they become repetitive and bogged down from frequent loading screens. Get to Work is recommended to fans looking to bring more gameplay features and content to their Sims 4 experience. The Sims 4 Get to Work does a lot of right things for being its first expansion pack that only stumbles in a few places. The manageable retail businesses and photography skill are great additions to the base game, while the new career venues suffer from repetitive gameplay and frequent load screens. Sims fans shouldn't hesitate in picking up the Get to Work expansion pack as the new gameplay features and added content are well worth the purchase.